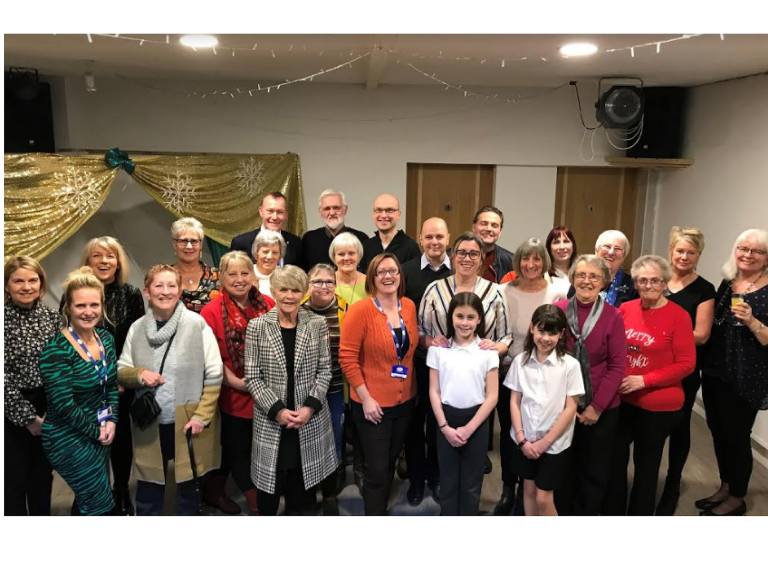 The ‘CancerCare Thank You Event’ took place at Dalton United Football Club on Thursday, December 13, and was attended by around 40 people including the Mayor of Barrow, Councillor Bill McEwan and Mayoress, Judith McEwan. Everyone who had contributed to the success of CancerCare in Barrow and Furness over the last two years was thanked for their efforts. Dalton United Football Club was thanked for hosting the event and delicious canapes were made and donated by chef Stuart Smith from Ulverston who works for Parsons. Gracie Minshull-Powell from Roosebeck was thanked for taking photographs of the event and CancerCare counsellor, Fiona MacDonald, was thanked for running the raffle. Rachel Minshull, Barrow and Furness Development Officer, spoke about how the charity had started with just one client in the first month and how it had grown to help 215 people – a total of 2,400 one-to-one appointments. Rachel said: “Very quickly we realised we had to get a building. Fortunately, the Trinity Church Centre had room. Without Trinity Church we would not be where we are now. “We have been able to create a space that we feel is warm, comfortable, relaxing and welcoming. Trinity has been wonderful for us but we have outgrown the space and we now also see children from the age of three upwards. Rachel encouraged everyone to share the word about CancerCare so people affected by cancer know the service is available for them. Neil Townsend, Chief Executive of CancerCare, said: “I’m really proud to be chief executive of CancerCare. “Just over four years ago we decided to expand our services in Barrow and Furness. “I always believed there was a need for CancerCare in Barrow. We did a research project and got to the bottom of what Barrow and Furness people wanted CancerCare to do. “My thanks go to Rachel, our CancerCare Lottery canvasser Beryl Gaitskell, our therapists, volunteers, supporters and to our new fundraiser, Emma Athersmith, for the excellent work they are doing, supported by a great team at our head office in Lancaster. “We now have a centre at Trinity Church in Barrow and are delivering services in the Barrow and Furness area. “I speak for all of the trustees when I say that we are proud of what we have achieved. “At the end of 2018 we are hoping we will be in a position to buy our own centre in Barrow. Andrea Partridge, CancerCare’s Volunteer and Engagement Officer, also spoke about her experiences as a breast cancer patient and shared a thank you letter from one of the charity’s clients.